For those situations where you simply need more space for all of your clothing and equipment. The large capacity locker provides a massive storage space at 1780mm high x 610mm wide x 460mm deep. 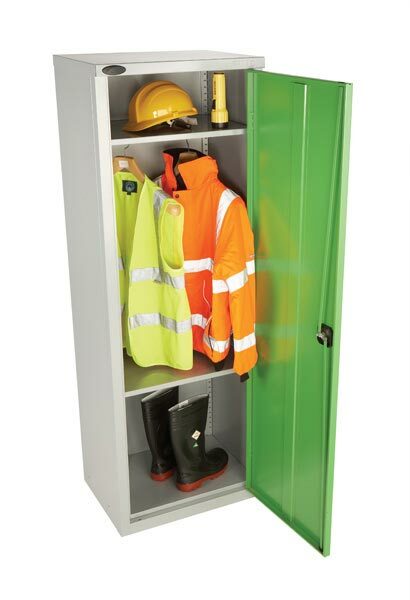 This locker benefits from a fully adjustable top shelf which has a fitted hanging rail underneath for clothes hangers and also a fully adjustable lower shelf to separate boots or other items. Available in a range of colours this locker is supplied with a cupboard lock supplied with 2 keys and also with 3 point security locking.